The satellite Earth observation (EO) industry, arguably, began 37 years ago yesterday. Now, before everyone starts tweeting and emailing hear me out. Although by this date EO satellites were in orbit, data successfully collected and imagery produced, the concept of a sustainable industry really began on the 6th January 1978 with the deactivation of Landsat-1. 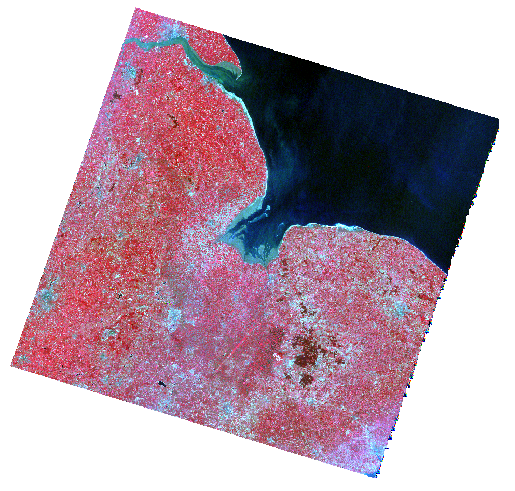 Image of East Anglia, UK taken by Landsat 1 in June 1976; data courtesy of the European Space Agency / U.S. Geological Survey. Multispectral Scanner operating in four bands with a non-square sampling interval (pixel size) of 57m x 79m, that’s now resampled to 60m resolution imagery. 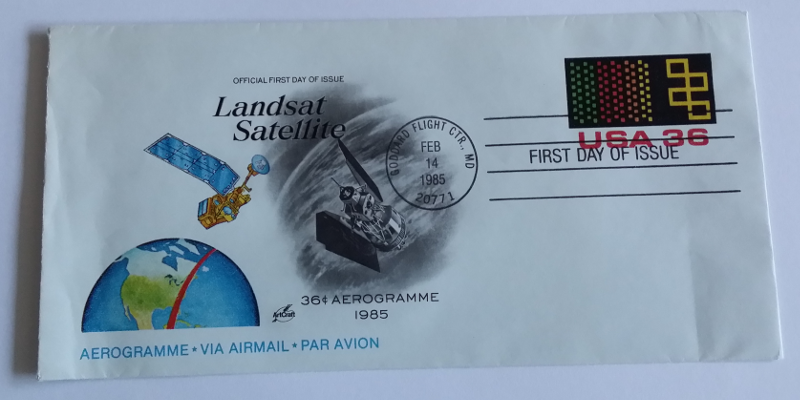 Landsat-2 was launched on 22nd January 1975 and carried exactly the same sensors as its predecessor; and it is this continuity of data that gave birth to the Earth observation industry. It paved the way for the development of an archive of over forty years worth of additional data provided by Landsat-3, Landsat-4 and Landsat-5; unfortunately, Landsat-6 did not reach its orbit. The archive continues to grow through the currently active Landsat-7 and Landsat-8, but it all began with Landsat-1. The concept of a global archive gives satellite remote sensing its unique selling point. No other method of measurement or imagery has the ability to provide global coverage, almost real time data, time-series data analysis and the opportunity to go back and retrieve data before you knew you needed it! These elements, together with scientific knowledge and computing power, are the backbone of the products and services that form the modern EO industry. The second Landsat driver to enhance the EO industry occurred thirty years after the deactivation of Landsat-1, when a data policy change in 2008 meant that all new and archived Landsat data held by the United States Geological Survey (USGS) was made freely available, via the internet, to anyone in the world. In addition, in researching this post I also discovered that Landsat-1 has an island named after it. A Canadian coastal survey was carried out in 1976 using Landsat-1 data, and a number of unchartered features were discovered off the northeast coast of Labrador. Landsat Island is 20km off the coast and has a landmass of only 25m x 45m, with the only known inhabitant a polar bear! The island marks the easternmost point of the Canadian land mass; and its discovery increased Canada’s territorial waters by 68km. Since the first Landsat was launched, many more EO satellites have gone into orbit; our blog post last year noted 192 EO satellites in orbit at the start of 2014. However, it’s worth remembering that although Landsat was not the first EO satellite, the Landsat missions are the founding fathers of the EO industry through their foresight of data continuity. This entry was posted in Data, Earth Observation, Landsat, NASA, Remote Sensing, Space Industry, Uncategorized, Understanding Space and tagged Canad, data continuity, Earth Observation, ERTS-1, Landsat, Landsat Island, Landsat-1, Landsat-2, NASA, pixalytics, remote sensing, resolution, USGS by Andy. Bookmark the permalink.